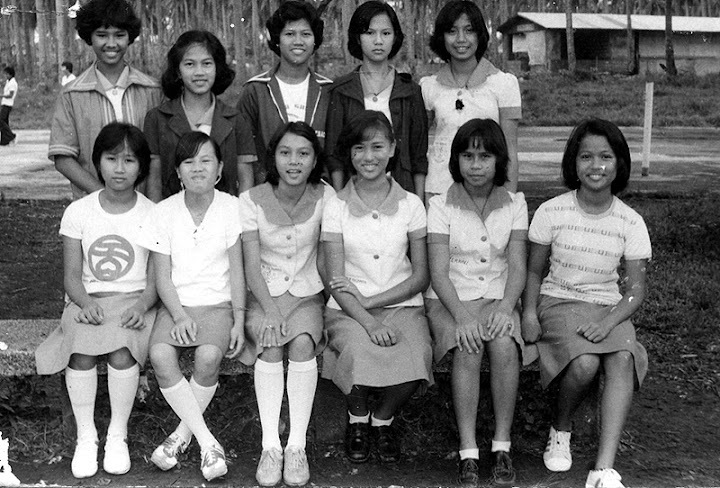 This was a fairly recent picture taken probably in the late seventies or early eighties, obviously of a group mentored by now retired Mrs. Editha Raz. It is amazing how the outdoor sports complex has since been transformed; and the coconut grove in the background is where the initial college building was built. In fact, at the time that this picture was taken, the property was still owned by the De La Salle Brothers rather than DLSL. The school acquired the piece of land from the Brothers only during the Presidency of Br. Rafael Donato.